DHL Global Forwarding Ireland takes the complexity out of freight logistics. Why not take the complexity out of its financial reporting as well? Managing 60 different budgets in spreadsheets for several cost centers and branch offices made it difficult to make simple changes, which prevented visibility into planned versus actual expenses. Those challenges turned around after a certified Adaptive Insights partner implemented a customized reporting hierarchy and chart of accounts in the software. DHL Global Forwarding Ireland improved the efficiency of its reporting and manpower, leading to more reliable budgets and forecasts that move business forward. Founded in San Francisco more than 40 years ago, DHL Global Forwarding has continued to expand at a phenomenal rate. Today, DHL’s international network links more than 220 countries and territories worldwide. DHL also offers unparalleled expertise in express, air and ocean freight, overland transport, and contract logistics solutions, as well as international mail services. DHL is part of Deutsche Post DHL, which generated revenue of more than 46 billion Euros in 2009. Implementing Adaptive Insights saved us three weeks of manpower across three people, which is the equivalent of five, full-time weeks. Next year will be even faster! Due to the complexity of DHL's Global Forwarding Ireland business, the budget model attempted to capture all 20 individual cost centers and branches, resulting in a linked budget model of more than 60 different budgets. Managing the model in Excel was very difficult. "As the sheets got larger and larger, trying to make a simple change in the Excel model was a nightmare," said Andrew May, CFO at DHL. "It would take more than a week to sanitize the information and even then it was difficult to compare actuals to plan." DHL sought to find a replacement for their complex Excel-based budget process. An outside consultant recommended that they look at the Adaptive Insights Business Planning Cloud. After an initial review, the key features in Adaptive Insights that stood out were the Excel-like look and feel, the straightforward and simple navigation, and the report writing capabilities. "I liked that you could bring in actuals data into the plans for comparison and review by month, quarter and year. In addition, you could expand or collapse hierarchies in a given set of accounts," said May. "The professional look and feel of the application, coupled with the easy navigation throughout the application, assured me this would be easier to use than Excel and would result in an optimized budget and improved reporting." After selecting Adaptive Insights, DHL chose to work with Dublin-based Miagen, an Adaptive Insights implementation consulting partner. Miagen structured the implementation process by setting up a few exploratory meetings to capture key requirements and existing business processes. After collecting feedback, Miagen developed a reporting hierarchy and chart of accounts in the software. It took less than eight weeks to collect feedback and implement the DHL model in Adaptive Insights. "Now we can include personnel data in our model, including assumptions about pay increases. In addition, we have developed a set of KPI's, custom accounts, payroll, and budget into our ERP system as our central place of record. Implementing Adaptive Insights saved us three weeks of manpower across three people, the equivalent of five full time weeks. Next year will be even faster." Today DHL has a more reliable budget and can compare actuals data to plan. When they want to analyze variance against budget, they have all the detail accessible and can easily drill in. "The main advantages are time savings, a more reliable budget, and a rolling forecast that is kept up to date," said May. 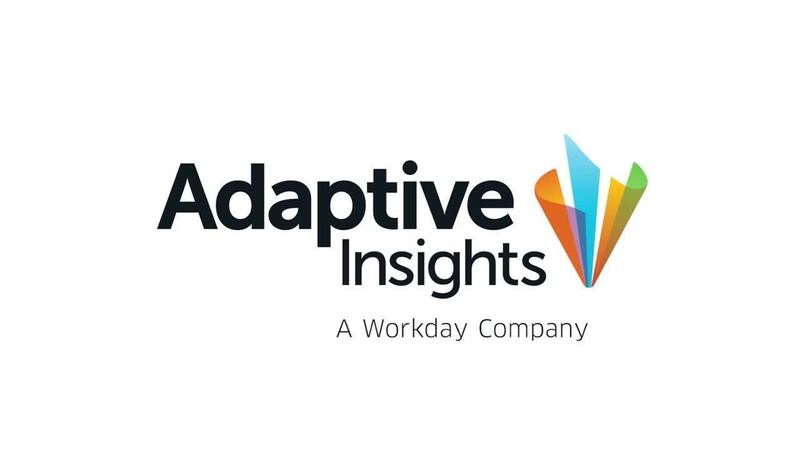 "Adaptive Insights is a robust solution that is easy to use, brings value to the business, and saves a lot of time, making the budget process easier and more professional." The professional look and feel of the application, coupled with the easy navigation throughout the application, ensured me this would be easier to use than Excel and would result in an optimized budget and improved reporting.